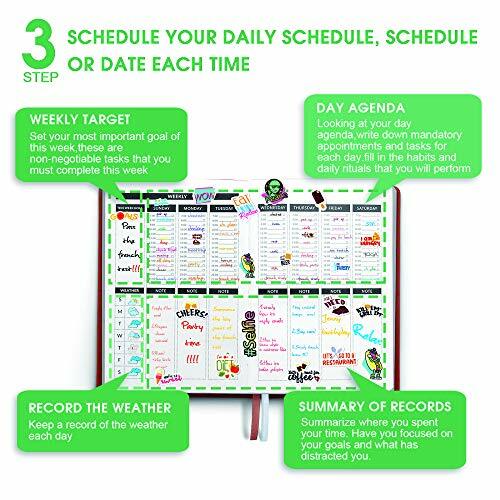 WEEKLY AND MONTHLY PLAN/REVIEW: This quality 2019 daily planner will incorporate your personal life in a more effective and organized way! 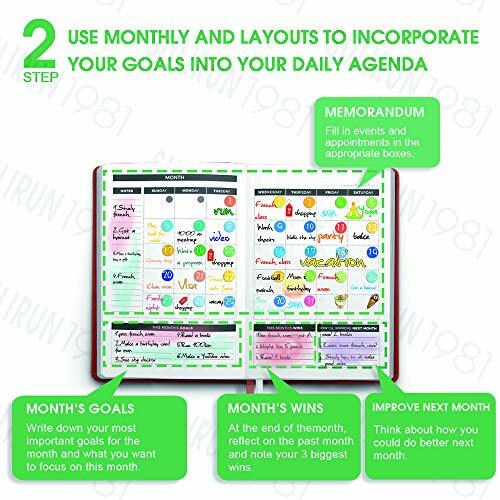 It will help you focus on important work and lifestyle habits, and beat delays let you live a better life, love every day, and make you more grateful to your parents, friends and life. ACHIEVE MORE GOALS WITH THE RIGHT APPROACH: Everyone wants to be successful and for you to achieve the best success you need to set the right goals. 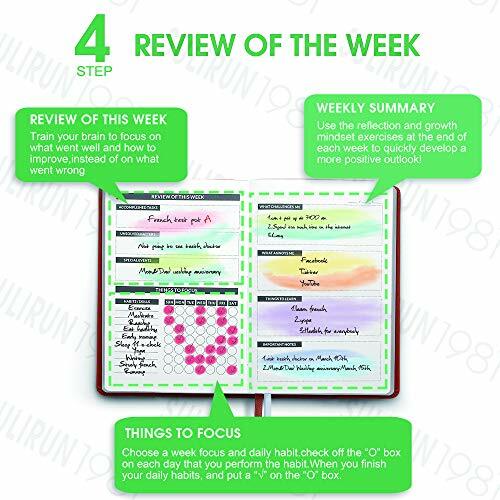 This our effective notebook contains weekly goal plans that will be of utmost benefit to you. We break down a big goal into a lot of small goals so that you can easily accomplish them. 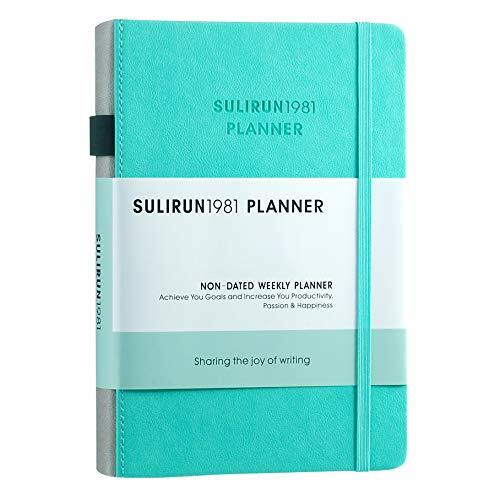 UNDATED,LASTS 12 MONTHS:The planner has 288 pages of awesome articles, a 12-month plan page, a 52-week weekly plan, a 52-week review, and a 21-page note page. Perfect for women and men. 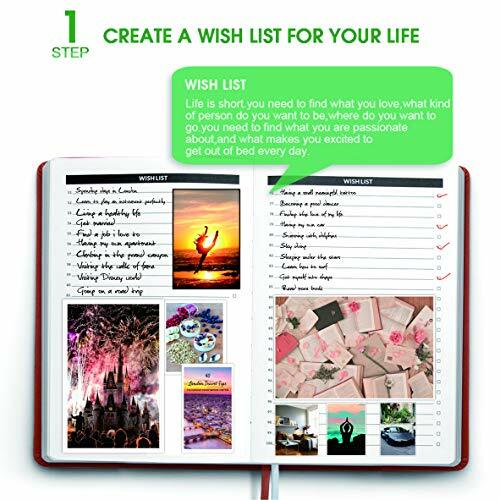 No date to achieve a free calendar and no wasted pages; perfect for everyone is a balanced passion & turn dreams into reality. 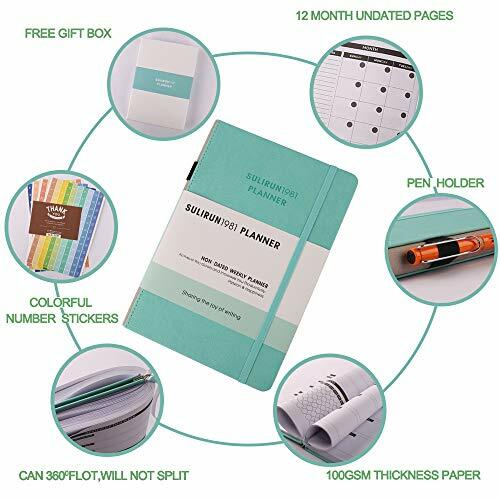 VERY EASY TO UNDERSTAND AND USE:The elastic closure of this planner makes it safe to close, the elastic pen ring is always available for your pen, and it stays good. 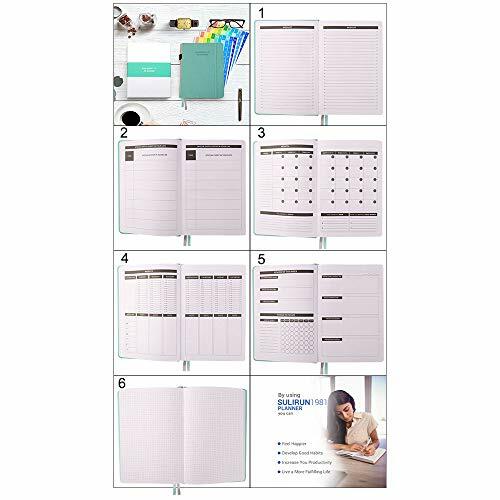 The planner has 2 bookmarks to better find the key content of your . The inside pockets can hold business cards, notes, receipts and other small cartons. This notebook is packed in a beautiful box that can be given as a gift to your lover and friend. 100% SATISFACTION AND LIFETIME SUPPORT GUARANTEE: As a brand, we believe in quality not quantity! If you are not 100% satisfied with the purchase, then you have 30 days to return it for a full refund. Our first priority is to satisfy you.